CHICAGO (WLS) -- Registration for the 40th annual Bank of America Shamrock Shuffle, to be held in 2019, opened Wednesday. The 8K run and two mile walk through downtown Chicago will be held on March 24, 2019, at 10 a.m. The race starts and finishes at Grant Park, and winds through the Loop. 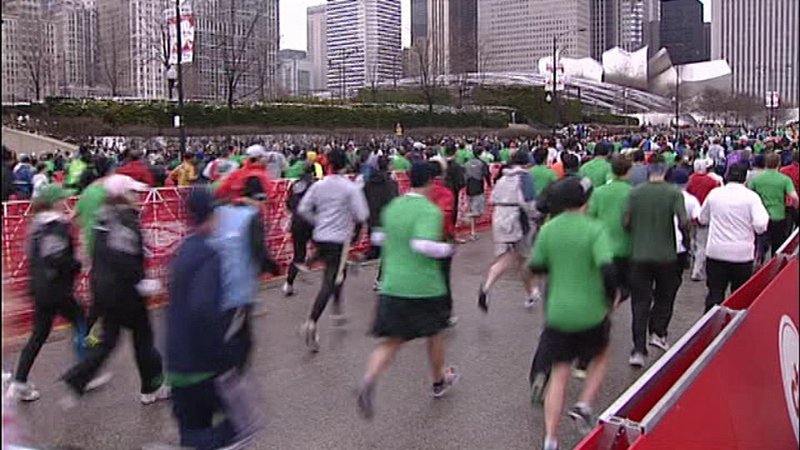 The Shamrock Shuffle marks the official start of Chicago's running season. Individuals who want to participate are encourage to sign up early. Those who sign up for the 8K run in the first week of registration will receive a discounted entry fee of $40 to commemorate the run's 40th anniversary. The entry fee will increase to $45 after Sept. 19, and will continue to increase until the race reaches capacity. The entry fee for the walk is $35. Registration will remain open until 1,500 people are registered. For more information and to register go to shamrockshuffle.com.